Users can now make calls to each other via the Facebook Messenger app anywhere they have a wi-fi or a cellular-data connection. The feature could be a boon for heavy talkers as they would avoid carrier call charges. 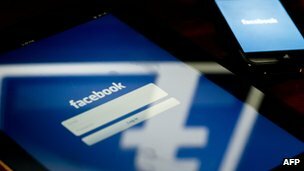 Facebook said it was working on adding the feature to its Messenger app for Android and BlackBerry users. Within the app, all a person needs to do is open a conversation with a partner, tap the "i" icon in the upper right hand corner and select "Free Call". The calls, however, can only be made to another user who has Messenger installed on their iPhone. Users can neither call a Facebook friend who is logged in through the website or call a landline. The latest mobile-to-mobile development was independent of the free video-calling software Skype, which was already integrated into Facebook's website, a spokesman said. The Messenger app is limited to voice calling. The official said Facebook was expected to roll out the feature in its Messenger app for other operating systems and expand it overseas.